After the Svoboda party had been deprived of the observer status in the Alliance of European National Movements, it started to look for new European connections. Eventually, the party found new comrades, and, ironically, they suit Svoboda even better than the AENM! Because they are neo-Nazis. 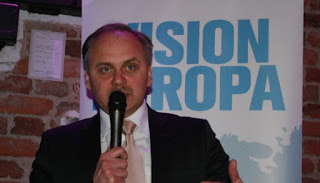 On 23-24 March 2013, Svoboda's member Taras Osaulenko took part in the conference "Vision Europa" organised by the Party of the Swedes (Sweden) founded in 2008 by members of the National Socialist Front. The main speaker at the conference appeared to be Udo Pastörs, deputy leader of the neo-Nazi National Democratic Party of Germany (NPD), two members of which now stand trial in Germany for their support of the terrorist National Socialist Underground. Another speaker at the conference was Roberto Fiore, leader of the fascist New Force. 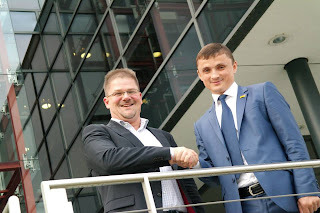 On 29 May 2013, Mykhaylo Holovko, member of the Ukrainian Parliament and Svoboda, visited the Landtag of Saxony to speak to the NPD. In particular, Holovko conveyed greetings from Serhiy Nadal, Ternopil's mayor and member of Svoboda, and Oleh Tyahnybok, Svoboda's leader. 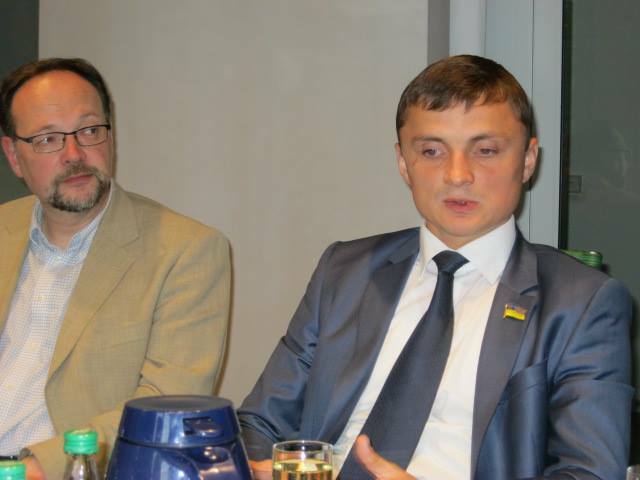 The NPD and Svoboda agreed to strengthen bilateral relations between the parties and parliamentary groups. Tell me who your friends are... I would not be surprised to hear about Svoboda's visit to Greece soon.